Tequila Casino Azul Silver is 100% Blue Agave. This product is a very pleasant Tequila manufactured in the Artisanal tradition of the smaller tequila companies. 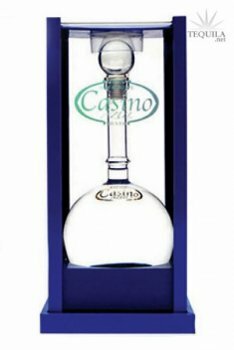 Casino Azul Tequila is presented in a unique glass bottle and packaged in an open wood box.